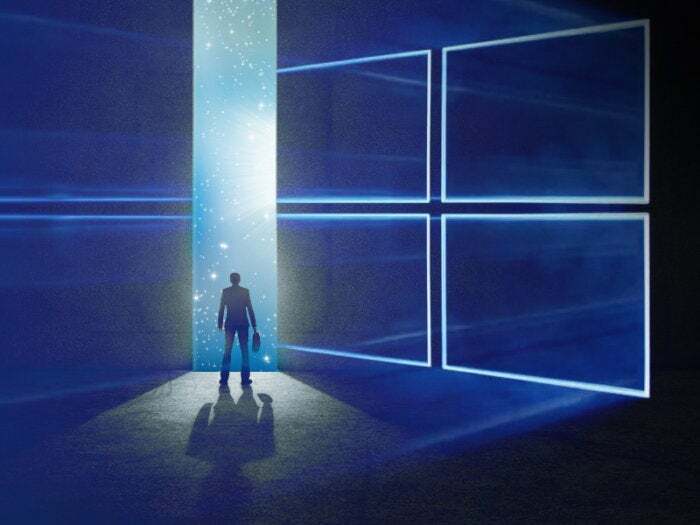 Microsoft yesterday announced it will target March and September as the launch months for all upcoming Windows 10 feature upgrades, a return to regularity that has been demanded by enterprise customers. "We've ... heard our customers want more predictability and simplicity from [the Windows 10] update servicing model to help make deployments and updates of Microsoft products easier," said Bernardo Caldas, general manager of Windows marketing, in a Thursday post to a company blog. To make that happen, Caldas said, Microsoft is committing to a twice-annual release schedule for the operating system's feature upgrades, and will aim for code finalization and launch in March and September -- six-month intervals. Windows 10's most recent upgrade, labeled "Creators Update" as well as 1703 -- the latter in Microsoft's yymm format -- was initially available April 5 and began reaching some customers via Windows Update on April 11. Under the new schedule, the year's second feature upgrade should appear in or around September. "This is crucial," said Wes Miller, analyst with Directions on Microsoft, of the new scheduling assurances. "When we've been talking to enterprises, these are key pain points, the unpredictability and irregularity of updates." Before Windows 10's mid-2015 debut, Microsoft referred to a clockwork-style schedule that would deliver a new version every four months, or three times a year. Those using the to-be-retired version would be required to upgrade to continue receiving security patches. But as the company struggled to meet that tempo and received pushback from customers, it adjusted to a slower cadence, retreating from the thrice-yearly cadence to, in 2015, two releases, and in the following year, just one. It has set two upgrades for 2017. That uncertainty -- would Microsoft ship one upgrade, two or more, and when? -- was a sore point for Microsoft's commercial customers, its most important and most lucrative by far. "From an enterprise perspective, predictability is always key," said Michael Silver of Gartner in a Friday interview. Deploying a new version of Windows -- even Windows 10 feature upgrades, which contain fewer changes than did earlier edition upgrades -- takes planning, stretches resources and costs money. Without a clear idea when an upgrade would appear, enterprises would constantly be surprised, and waste months they needed to conduct the roll-out. Microsoft' Caldas also reiterated that each Windows 10 feature upgrade "will be serviced and supported for 18 months." Microsoft has been pledging a year-and-a-half support lifecycle for some time -- it was an increase from Microsoft's pre-launch promise of only 12 months -- but the timetable had not been well-promoted or well-communicated. Caldas put it front and center. The 18 months of support will make it "easier for customers to skip a release," said Silver. "Of course, organizations may still have to guess which releases are more important to them, or more compelling or better supported by third-party developers." Directions on Microsoft's Miller echoed Silver by also applauding the 18 months of support. That means "businesses might be able to skip a release," Miller said, even as he acknowledged that many Microsoft customers have held out hope for an even longer stretch. "Enterprises would rather not have to touch every device every 18 months or less," Miller added, "but that's what they'll have to do to work with Windows 10 going forward." Most enterprise PCs running Windows 10 won't have 18 months on a specific version, however. Microsoft uses the first 4 months of that span to distribute the upgrade to consumers -- essentially for additional testing -- before certifying it as suitable for commercial systems. And while it will be possible to skip a Windows 10 upgrade, companies may find themselves pressed for time to get the next deployed before the one they're currently running exits support and stops receiving security patches. Under Microsoft's 18-month support lifecycle, Windows 10 1703 will drop off the list in October 2018, while September's upgrade -- call it 1709 -- will be patched until March 2019.